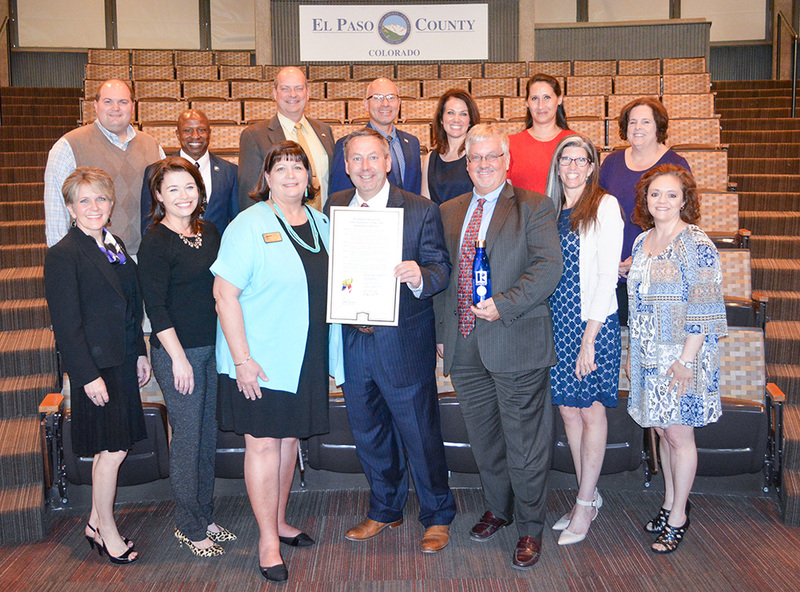 The Board of El Paso County Commissioners joined the Pikes Peak Association of REALTORS® on Thursday, May 10, 2018, celebrating the 100th anniversary of the organization’s charter and its continued mission to promote the real estate profession in El Paso County and the region. The Pikes Pikes Peak Association of REALTORS® was founded in 1902 and was granted its charter in 1918. Debbie Howes, PPAR’s Chair of the Board of Directors, joined staff and real estate professionals on Thursday to accept the Proclamation. Howes said her organization’s goal is to make the process of buying a home as easy as possible for homeowners.